Wooden-boat aficionado F. Todd Warner auctioned off most of his collection of classics this fall, though he might end up restoring some of them for their new owners. Where others see only cracked varnish, dry rot and headaches, F. Todd Warner sees neglected wooden boats that can be restored to their former glory as showcases for elegant styling, fast hulls and glistening brightwork. Warner, 57, owner of Mahogany Bay, a Mound, Minn., company specializing in classic boats, has bought, sold and restored 1,000 wooden boats in the last 37 years, and he has warehoused and maintained many more for their owners. The Minnesota native has devoted his life to saving these historic vessels from the ravages of time and the bonfire, so it seemed out of character when Warner auctioned 127 boats - most of his collection - Oct. 15-16 in Winsted, Minn.
"Emotionally, this was not my plan," Warner says. "But I see that a bigger plan is evolving, and I&apos;m yielding to that. 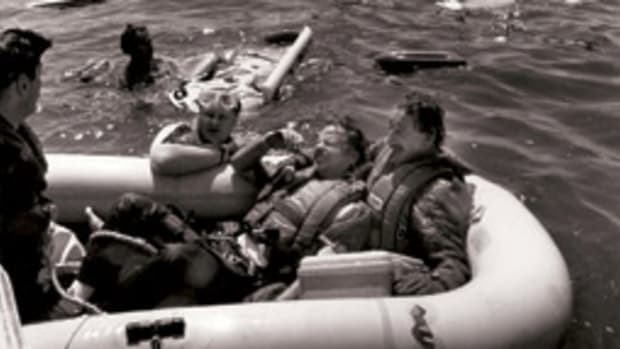 ... I&apos;ve got to challenge myself and my value system and let some of these boats go so someone else can restore them." recession economy, he has found that he can&apos;t afford to warehouse an excessive number of boats, hoping one day to restore them. He has had to auction the bulk of his collection to recapitalize his business so he can keep buying and restoring boats. "This not a going-out-of-business sale," he quips. "This is a staying-in-business sale." Warner auctioned the collection "no reserve" - no minimum bid - so it was a risky venture. 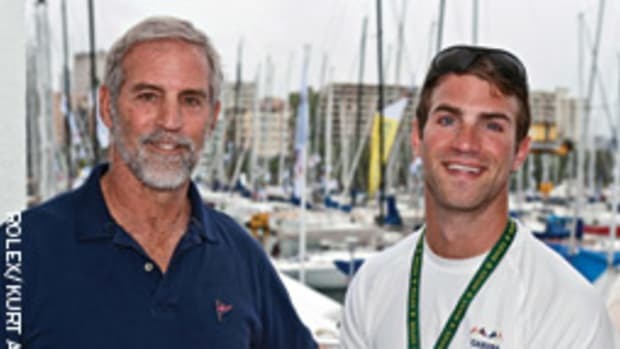 His strategy: create some buzz, draw a critical mass of bidders to a critical mass of boats, from wrecks to best in class, and set a new post-recession baseline of value for classic boats. He had hoped to pocket perhaps 10 percent more than he did, but he is hardly disappointed. "In this world, in this economy, it was the best it could be," he says. Warner estimates the crowd in the thousands. Bidders numbered 300 to 400, according to Scott Ales, investment-grade and classic-boat specialist for the auctioneer, Mecum Auctions of Marengo, Ill. The auction raised $4 million - $3.6 million for Warner after deducting Mecum&apos;s 10 percent commission. Top-grossing boats were Gerry Lo, a 1929 Dingle 30-foot triple-cockpit runabout that fetched $315,000, and Sugar Lady, a 1932 Chris-Craft 27-foot custom triple-cockpit runabout that sold for $305,000, including the auctioneer&apos;s fee. "That&apos;s real money for a mahogany speedboat that they used to burn behind the marina," Warner says. "That&apos;s from worthless to priceless." 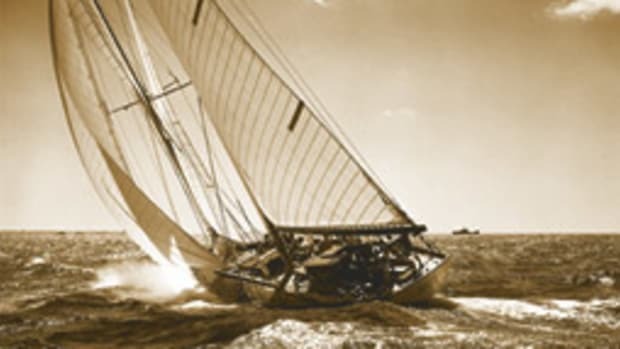 Warner inherited his passion for wooden boats from his father, Frank, whose own father, Harold, raced a Minnesota-built 26-foot Ramaley speedboat named Moonahanus on Lake Minnetonka. 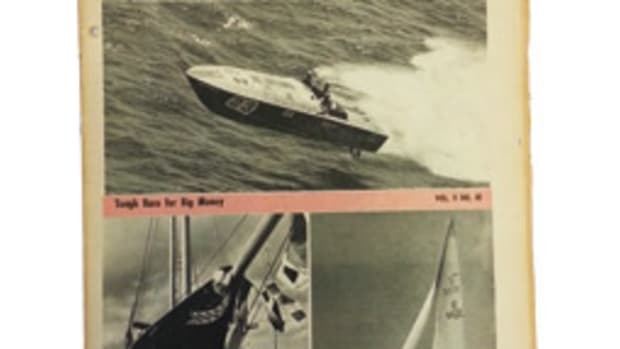 In the 1960s, as fiberglass was overtaking wood as the hull material of choice, Frank Warner would dispatch teenage son Todd to marinas to rescue and tow home wooden boats condemned to the saw or the torch. "He collected wood boats because they were burning them behind the marina," Todd Warner says. "They had no value. Fiberglass boats were coming, and you couldn&apos;t give a wood boat away." The teenager went on to work for a marina, Tonka Bay Marine, so he could be around boats - wood and fiberglass. He later parlayed his interest in rescuing wooden boats into a business, collecting and restoring them and developing a thriving market for restored boats to help ensure their survival. Warner believes the auction helped lift that market out of the doldrums. "I think this is just the first couple innings of this game," he says. "If you look into the future 10 years from now, you&apos;re going to be shocked. You&apos;ll see [wooden boats as] some of the most valuable collectibles in America because they&apos;re the rarest American collectibles. I see them as an art form. ... I think you need to elevate them out of boats as boats and look at them as the sculpture and works of art that they are." The eclectic collection of mostly wooden boats in the auction dated from 1897 to 1996 and included such brands as Hacker-Craft, Gar Wood, Chris-Craft, Shepherd, Lyman, Century and Riva - some of them crème de la crème restorations, others in barnyard condition and needing a loving touch and a generous budget. Also on the auction block: 150 engines and 100 pallets of parts. John Williams, a horse breeder from Versailles, Ky., took home a 1932 28-foot Hacker-Craft runabout for $128,250 - the high bid, plus commission. "I came 850 miles for this," says Williams, 68, speaking on a cell phone as he towed the boat home to Kentucky. "It was a real happening." 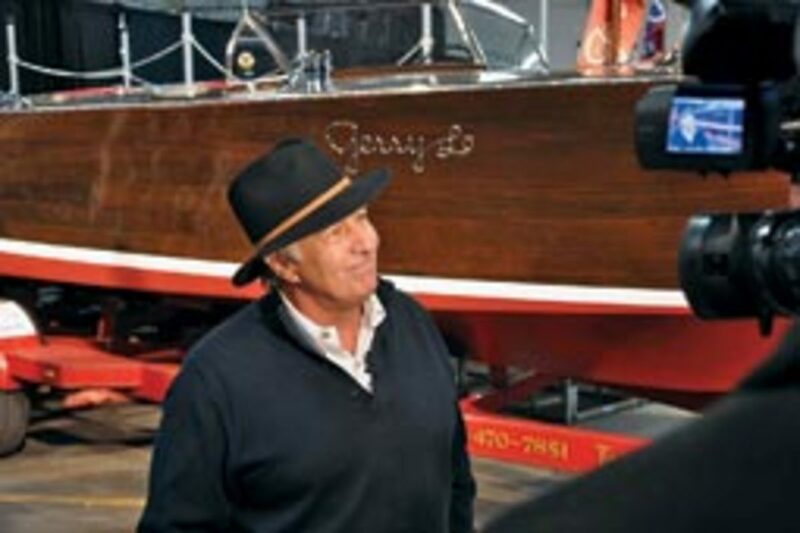 A veteran of horse auctions and the owner of seven other wooden boats, Williams came to the auction with an eye only for this Hacker-Craft, known as "The Gangster Boat" for its lean and mean lines and good looks. "It&apos;s one of the most beautiful boats I&apos;ve seen," he says. 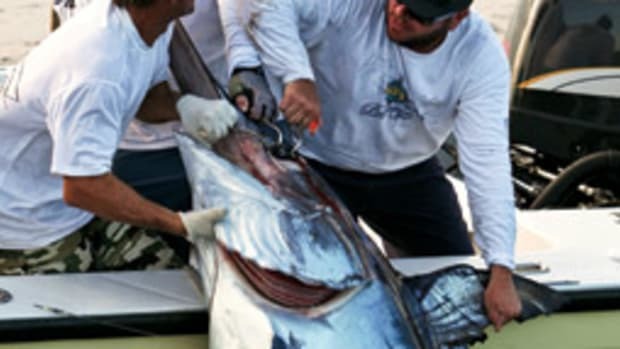 He hadn&apos;t planned to bid more than $100,000 for it, but five others wanted the boat, and three still were bidding at $100,000. "I&apos;m doing things as silly as when I was 20," he says. "It&apos;s a good boat, but I&apos;m disappointed in my getting caught up in [the bidding] and doing something I fully understand to be economic folly." Williams says he&apos;ll probably have to replace the bottom and the boat&apos;s modern Crusader 454 V-8, installing a period Sterling Petrel or Kermath Sea Wolf 225-hp engine. "It needs another $80,000 thrown at it," he says. 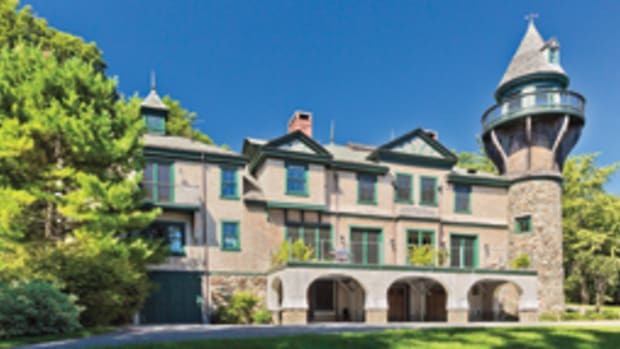 Fully restored, the Hacker might fetch $225,000 in another five years, its new owner says. That&apos;s not as big a return on the investment as he might hope for, but the upside is that the boat is a winner. "It&apos;s such a wonderfully preserved and rare boat," he says. "That&apos;s an overused term, rare, but this one really is." Williams says the boat is a solid investment. "I&apos;m going to come out of this thing OK," he says. "In the final analysis, I&apos;d rather have this piece of mahogany chasing this truck down the road than have my money in [JP] Morgan Chase earning .05 percent interest." Warner says he plans to move Mahogany Bay (www.mahoganybay.net) to Winsted, where he will continue to store and restore wooden boats in the 90,000-square-foot building where he held the auction. (He has leased the building.) Forty-eight hours after the last gavel sounded, Warner says, he received at least 15 e-mails from winning bidders asking him to restore the boats they bought - another benefit of getting his boats into people&apos;s hands. They get restored, and he gets more business. "Mahogany Bay has been a leader in the field of preserving motorboating in America," Warner says - and serving as a caretaker of powerboats built between 1922 and 1968, the heyday of what he calls "this rare American art form." 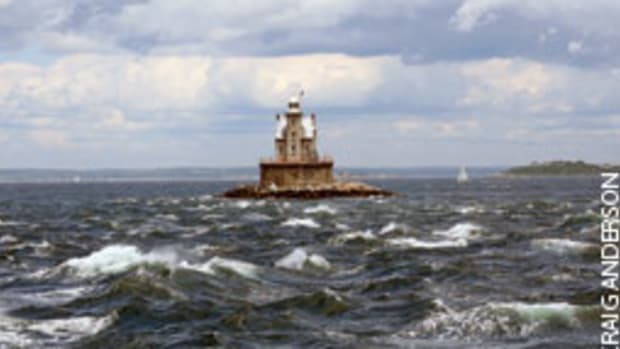 Warner helped organize the Minneapolis-area chapter of the Antique and Classic Boat Society, an organization that at the time had just two other chapters but now has more than 50 chapters, nearly 9,000 members and 45,000 boats. Warner kept two "crown jewels" of the wooden-boat era out of the sale: Posh, a 54-foot 1937 Huskins, and Tempo, a 44-foot 1936 Huskins. 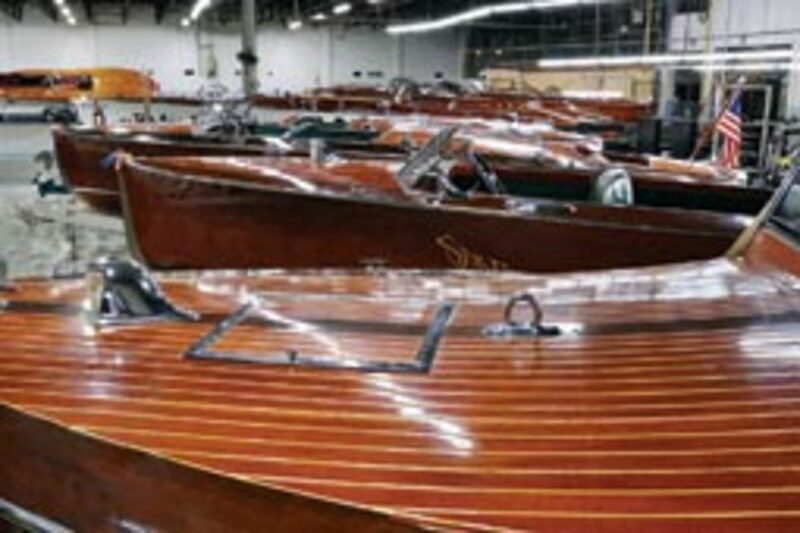 They are the "most limited of limited-production" wooden boats, along with Thunderbird, a 1939 Huskins on display at deceased multimillionaire George Whittell Jr.&apos;s Lake Tahoe estate, Thunderbird Lodge, Warner says. 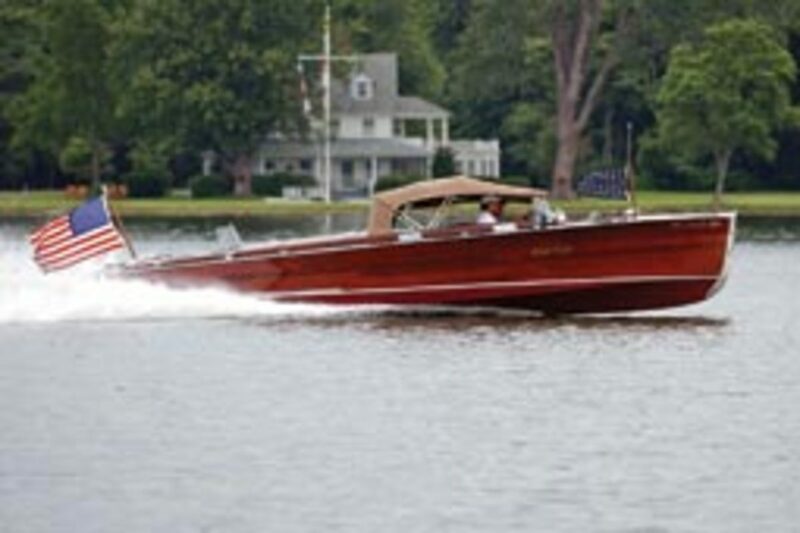 Built by Huskins Boatworks in Bay City, Mich., the three were the only Huskins that John Hacker designed. In Warner&apos;s estimation, Hacker was the foremost architect of 1930s, &apos;40s and &apos;50s art deco commuter boats - the "most beautiful commuter-style yachts ever built." But the beauty of wooden boats lies not just in their styling, Warner says. Their history also sets them apart. Posh, originally named WeeJoe II, was built for movie-theater mogul Joseph Cooper of Poughkeepsie, N.Y., for $75,000 - a small fortune in the 1930s. Tempo, built for Music Corp. of America chairman Jules Stein, later became MCA star Guy Lombardo&apos;s trademark yacht. Lombardo would drive the sleek commuter into the Jones Beach marine theater on New York&apos;s Long Island to lead his Royal Canadian Band there, Warner says. Warner hopes to bring Posh and Tempo together with Thunderbird in an exhibition at Thunderbird Lodge in 2011 or &apos;12. Posh is scheduled to appear at the Minneapolis Boat Show from Jan. 20-23, and Warner is talking with the National Marine Manufacturers Association about exhibiting at some of the trade group&apos;s other shows. "The future is in the past," Warner says. He&apos;d like more people to get involved with wooden boats. He says many enthusiasts became interested in boating in years past by building their own wooden boats. Now they can restore one as well and save it from the landfill. "If you want to put sweat equity in some direction, you can&apos;t have any more fun and learn something while you&apos;re at it and have something when you&apos;re finished than working on an old boat," he says. Warner had hoped to open an antique boat museum one day with some of the boats he auctioned, but economic realities intervened. "I didn&apos;t have the holding power to allow this dream to go the final 10 yards," he says. Lenders are reluctant to finance wooden-boat restorations because it&apos;s hard to set their value. "They have said that old boats have zero value," Warner says. He disagrees. Many classics in their time sold for five to 20 times the price of a car, so few people could afford them, few of the boats were built, and fewer still have survived, he says. As commodities, they are rare and becoming rarer. Warner notes that last August a 1940 Chris-Craft runabout sold at auction in Monterey, Calif., for $291,500, a 1922 Hacker raceboat sold for $320,000, and a 1966 Riva Super Aquarama Series II Prototype sold for $775,000. 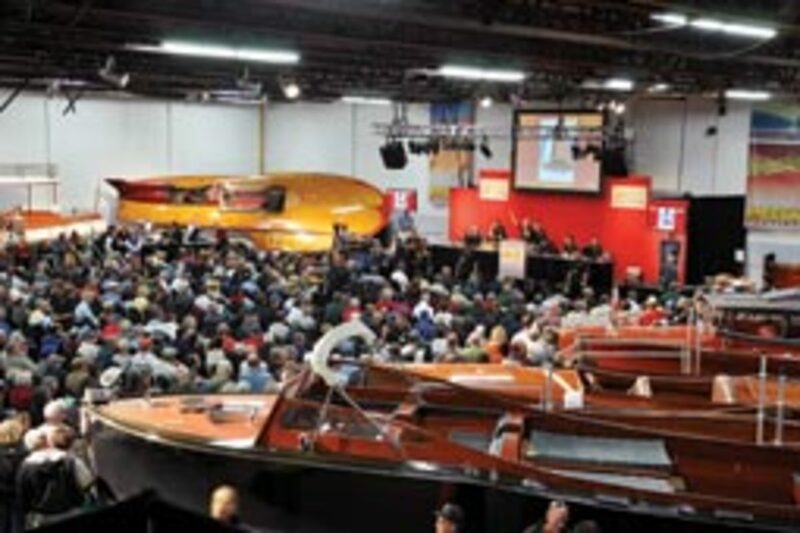 Ales, the classic boat specialist for Mecum, which also oversaw the Monterey auction, says the two auctions have set a baseline for classic-boat values. "There is no classic wood-boat guide anywhere," he says. "There&apos;s no basis for values." He says Mecum plans to help change that with more auctions, which for 40 years have been used to sell and set values for classic cars. 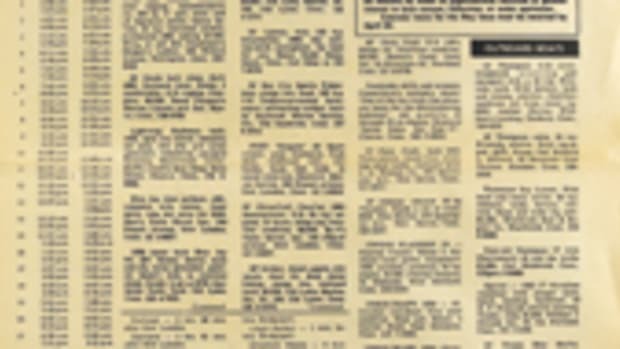 "No one has sold $4 million worth of wood boats in one day before." And that, Ales says, is a game-changer.